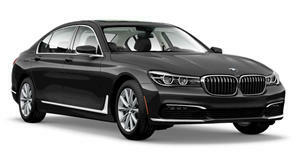 Why do an M7 when the B7 Alpina is already so wonderful? On paper, a proposed BMW M7 comes across as a good idea. Why not beef up BMW’s flagship sedan with even more power, aero bits, and that famed "M" badge? It’s never been done before and, despite a rumor that pops up from time to time, BMW is content to go on without one. It has absolutely no intention to do an M7. Why? Because there’s the Alpina B7. 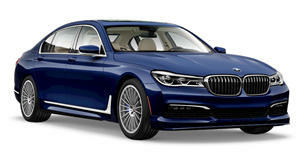 Speaking with Motor Trend at the LA Auto Show, BMW’s director of product planning, Paul Ferrailo, confirmed that BMW’s direct rival to the Mercedes-AMG S63 and S65 will remain the Alpina B7. “We feel really good with what we’ve got with Alpina. The 'M' adds sort of a track-element to that, and I don’t know if there’s a lot of demand for the 7 Series on the track,” Ferrailo explained. But he also added the following: "When we see something could work, we go after it, so it’s not something that has a finite ending when we run out of numbers. The market is always evolving and we’re always looking how we can exploit the market."